Boats used to be pretty much my whole life - I worked on them, sailed and cruised on them, then wrote about them and photographed them. I guess I got burned out, but it sure was fun to immerse myself in them again - for a short while this weekend. 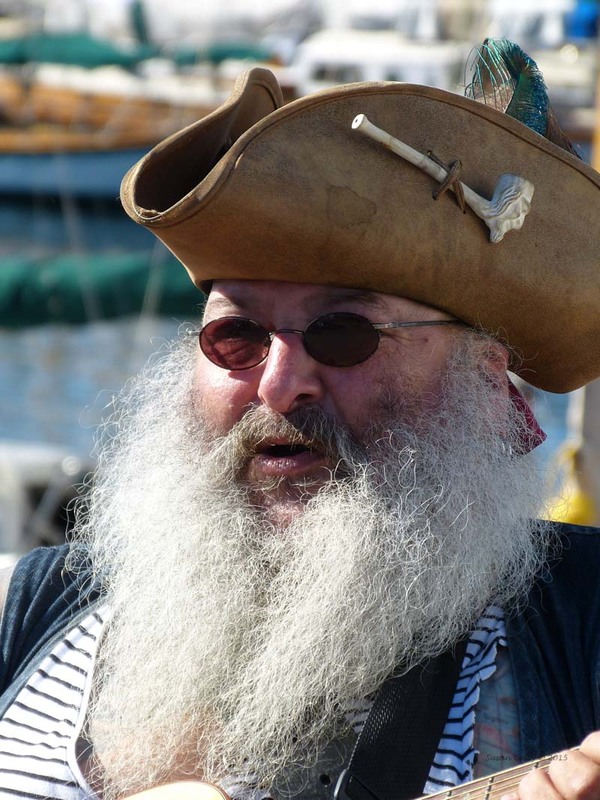 The 39th Annual Port Townsend Wooden Boat Festival this year, and every year is on the second weekend of September. More often than not, it is cold, gray, wet and windy. But this weekend was amazing! Mid-70s, sunny, a light breeze - perfect. Brought the spectators and visitors out in droves. 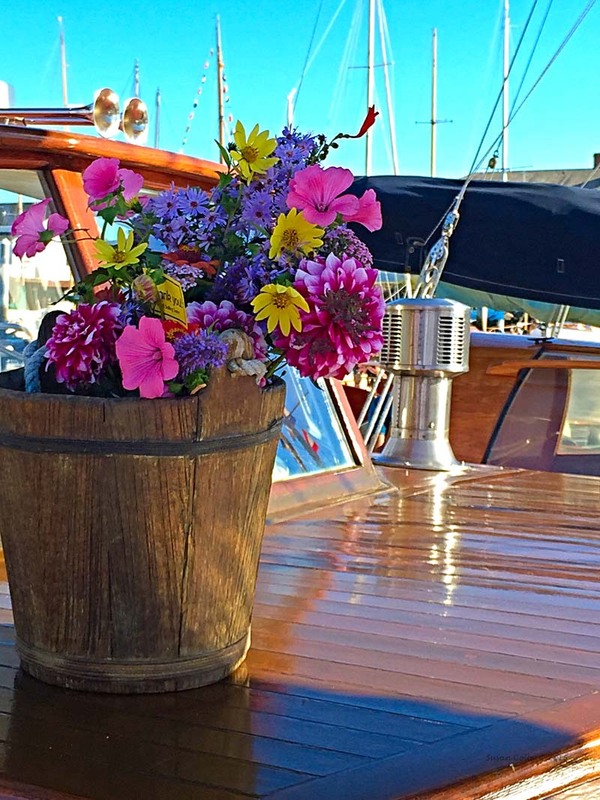 As usual, Point Hudson Marina was jammed with boats of all sizes, shapes, colors and vintage. There were small home-built sailboats and rowboats; schooners, ketches and sloops side-tied at every dock and slip. 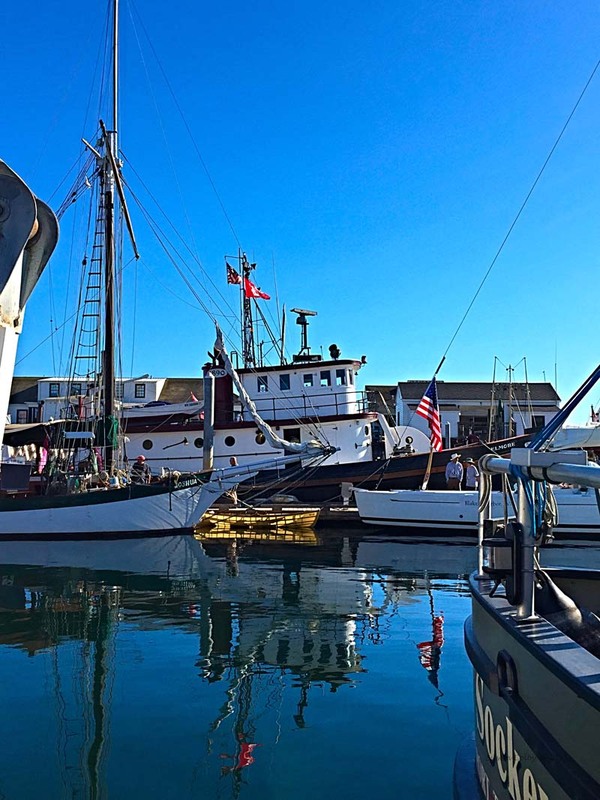 Trawlers and classic power boats like Deerleap, shared fenders and boarding ladders. There were acres of varnished teak, tons of polished brass glittering in the sun. What a pleasure! Most of the boats on show are ones I have seen and boarded many times. I was happy to see Spike Africa, a beautiful schooner built in Costa Mesa, California in the mid-70s by Bobbie Sloan, a well-loved mariner in Southern California. I remember watching the boat being built in a vacant lot next to his house, and once launched, going aboard and accidentally losing a prized pocket knife in the bilge! I expect it's still there! My old boat, the Wild Rose, was not there and is not on the Classic Yacht Register so I wonder what happened to her and where she is? It sounds like a project to me - tracking her down and making sure she is in good hands.